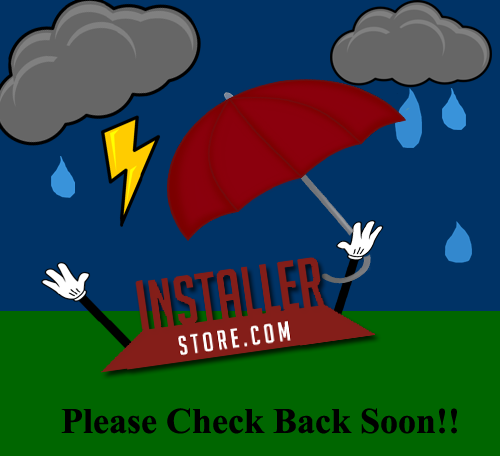 The storm that passed through our area has caused some issues with our sites. We are currently feverishly working to get them back up. You can still reach us by phone at 866.258.1554. We sell heavy duty, thick vinyl hall runners for carpet and hard surface floors such as wood, tile and more! The carpet and hard surface runners are sold by the foot, which allows you to purchase the exact length needed for your hallway or entrance area. Carpeted hallways can get dingy and dirty, especially in major traffic areas, which can cause them to discolor and look different than the other color around it. Don’t hide your beautiful carpet or hard surface floors with a rug! Use our clear vinyl mats to protect and show off your flooring investment! This runner is safe to leave on floors for long periods of time. Use only on flat surfaces. The clear vinyl carpet runners have pointed grippers on the back, which keep it in place in the carpet. The top has thick, beveled edges that help keep the mat laying flat. Each vinyl runner has a herringbone pattern that creates a non-slip surface, keeping your carpet and guests safe! This clear vinyl carpet runner is sold by the foot in three available thicknesses, so you can effectively cover the full width of your hallway. Widths available are: 27″, 36″ and 48″. We also offer hard-to-find vinyl runners for hard surface floors! The vinyl runner for hard surface floors features a diamond pattern on top, which allows for traction when wet. The max thickness of this vinyl runner for wood floors is 1/8″. Use this on tile floors, wood floors, laminate floors, garage floors and more! This vinyl runner is also sold by the foot, in two widths: 36″ and 48″. Don’t go with the cheap, thin vinyl runners that big box stores provide! Our clear vinyl runners are thick and durable, and won’t buckle or crack during the cold fall/winter season. This vinyl runner is 1/8″ at its thickest point and 1/16″ at its thinnest. We can cut multiple sized sections upon request, or you can cut these yourself with a very sharp set of scissors or carpet knife (please be careful when cutting). Tax time is almost over! Phew! Now it’s time to move onto your Spring Cleaning. Stock up on cleaners and cleaning accessories for all surfaces in your home. Use the Spring Cleaning Coupon Code and save an extra 5%, pair that with our flat rate standard shipping of $6.69 and you’ve got yourself one heck of a deal!